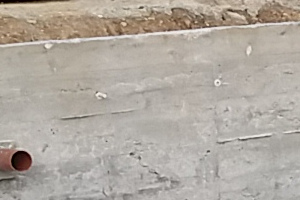 Thin nuts are used inside the formwork to create and maintain the desired width as you build your formwork. 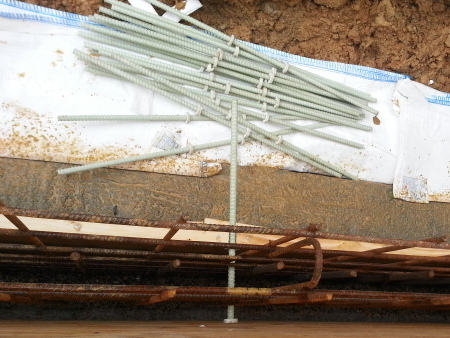 Thin nuts are wound on to a rod before the rod goes into the formwork. 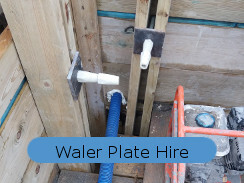 Very simply, they are spaced so that when the timber formwork is pushed against them as you build, the width between the wall forms will be correct. They make life easier but they are not essential. 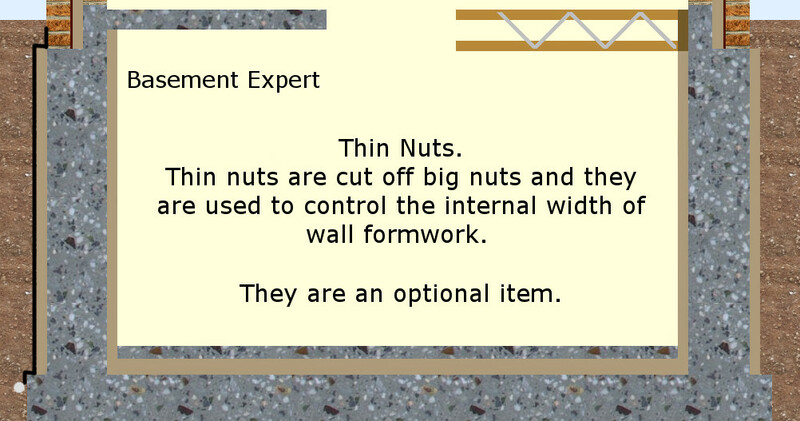 If you would like to buy thin nuts you can buy a 70mm nut and cut it into 4 or 5 thin nuts. It depends on what you use to cut them. I have a 14" chop saw with a diamond blade that is fast but it wastes 3mm every cut. I can cut a large nut into 4 thin nuts. The dust might be harmful so I wear a mask as well as use a system of dust extraction. You could cut them safely enough if you do it outside and make sure the dust blows away in a safe direction. If you would like me to supply you thin nuts I charge £0.30 a cut. I can supply you big nuts 70mm long at £1.50 and as many thin nuts at least 6mm wide as you require for £0.60p each. The rods are sliced off flush when they are finished with. Thin nuts become visible, which might not be what you want. You won't be able to remove a thin nut at this stage because the hex shape is cast in concrete and won't undo. 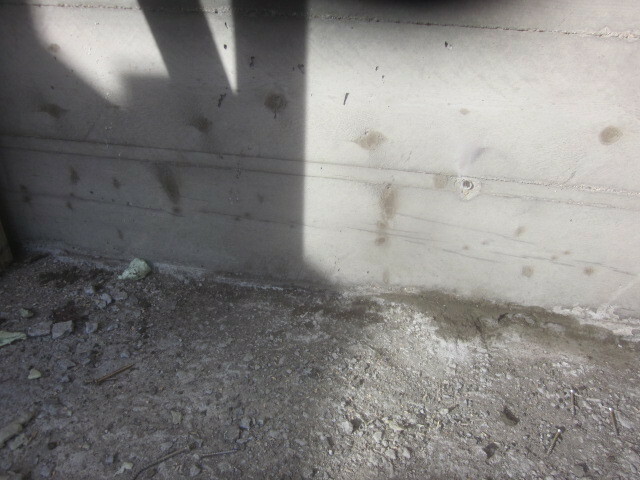 You would need to cut out concrete, rod and thin nut and repair the hole, if you really did not want to see it. 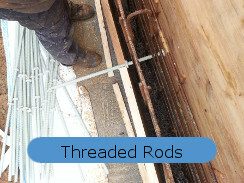 Traditionally and still, formwork carpenters use a steel threaded rod through plastic tubes to hold formwork apart. 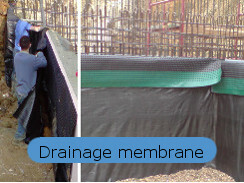 The plastic tube is cut to the desired length and the cone spreads the load. The steel bar is withdrawn and the plastic components stay in the wall. The cone can be filled after the formwork is removed. But would the repair be waterproof? All too often it isn't, which is the benefit of using my FRP rods. From time to time I talk to architects who tell me that the most prestigious and expensive basement projects are plagued with problems for many months. Decorated plasterboard is torn down to try to find where water is coming in. If you don't use a thin nut you barely see what is left of the rod.